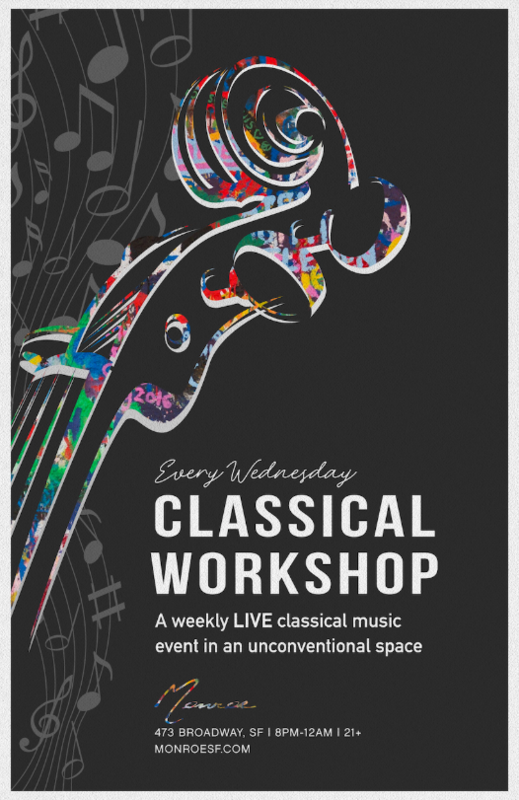 Every Wednesday night at Monroe, come experience live classical music in cozy midcentury inspired plush setting. Mozart, Bach, Beethoven arrangements. Violins, Viola’s, Cellos, Trombone’s and Obos. String Quartets, Cello Solos, French Horn Trio’s. The program changes weekly, and will always highlight live chamber music. Hear and experience the sounds of exciting arrangements without the pretense of a concert hall. Sip on cocktails, or enjoy a glass of wine while classical arrangements are played live. The perfect night outing for friends, lovers, or unique after dinner destination.